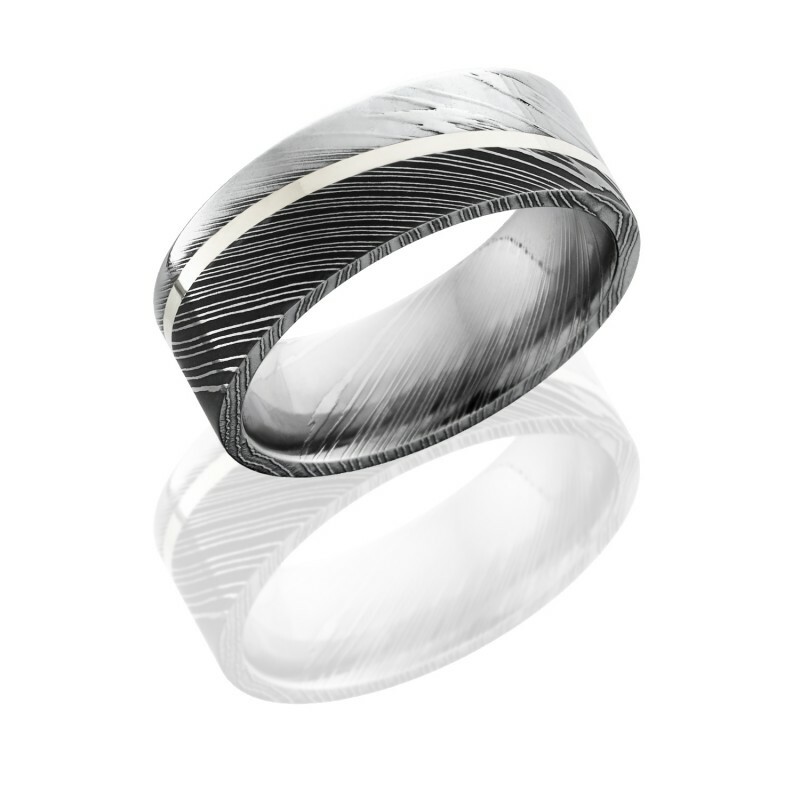 Damascus Steel is a unique blend of up to 120 layers of two different types of stainless steel. 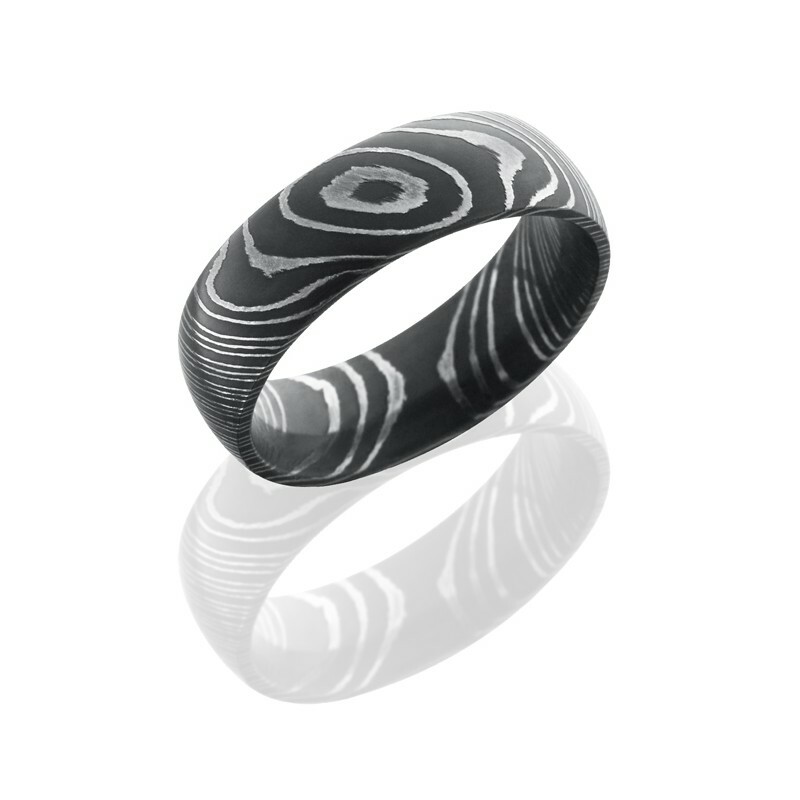 These layers are forged together to make a beautiful, durable band. This ancient metalworking skill makes a one-of-a-kind ring you’ll love. 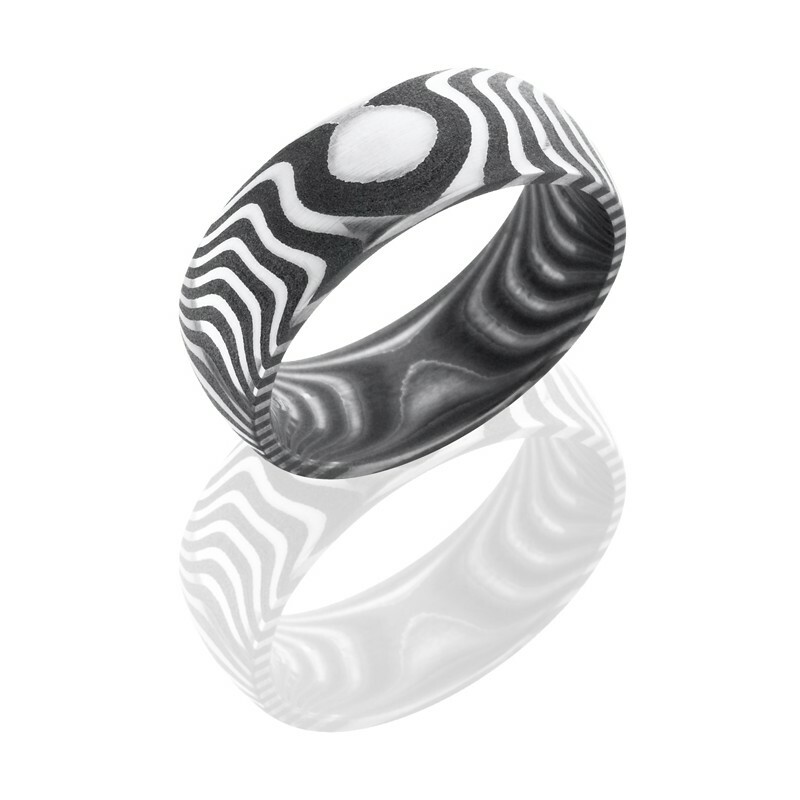 Damascus Steel has extra artistic value, as no two rings are alike. 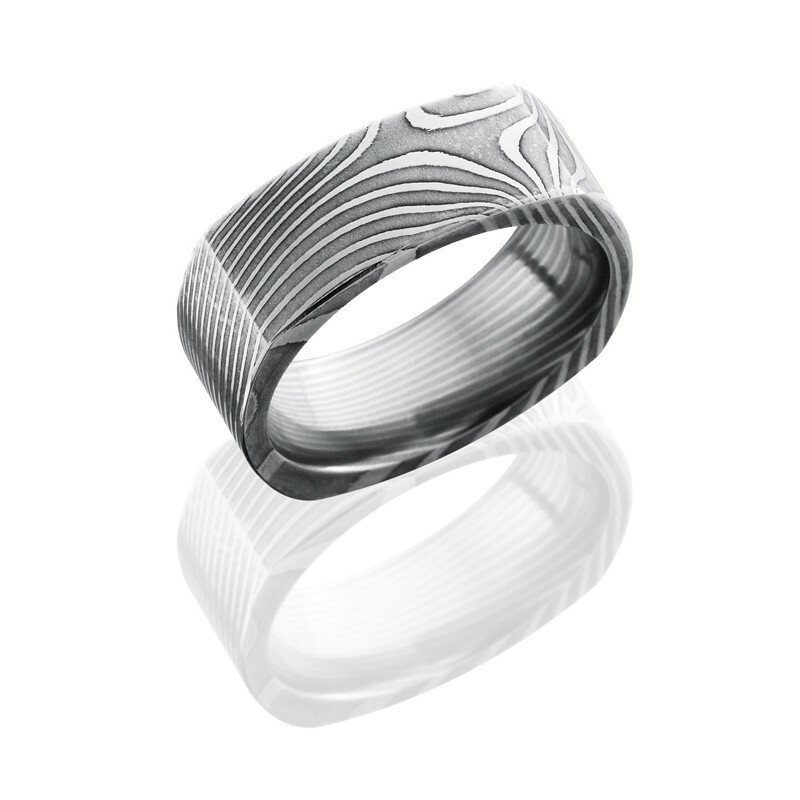 Lashbrook offers a classic Damascus Steel pattern and four custom patterns.